Home » plastic drums » What is a deltangular? 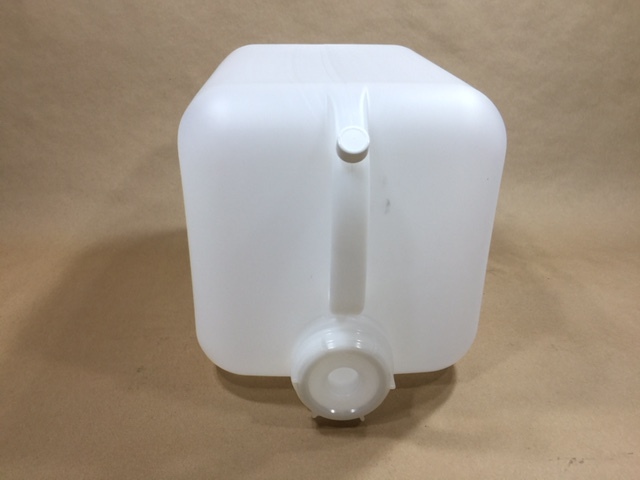 A deltangular is a name for a large rectangular plastic jug. 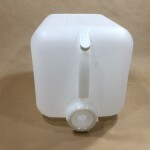 We carry these in a 5 gallon size. 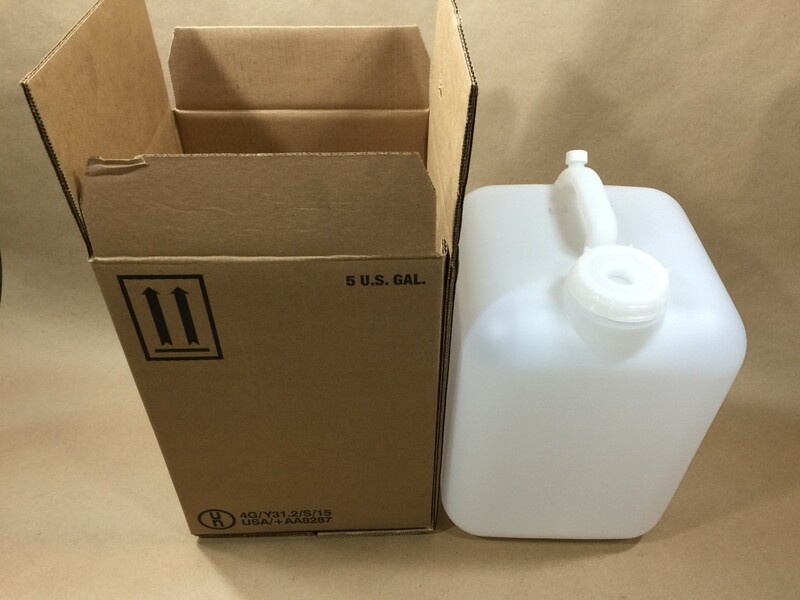 Our item number KLW-EC1970NTNA-1A is a 5 gallon deltangular, also referred to as a bottle/jug, with a 70mm opening . 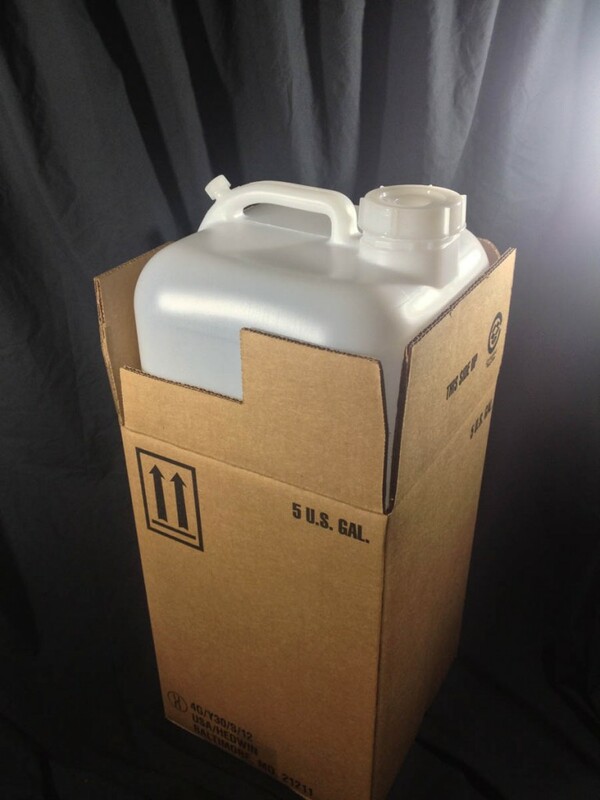 It has gallon graduation marks and comes in a box. 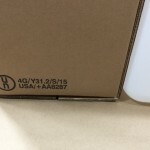 Packaged ths way it has a UN rating of UN4G/Y31.2/S. 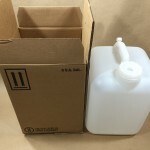 We also carry KLW-EC1970NTNA-B which is the same jug without the box. This item has no UN rating. Both of these items come with a cap, but you can also purchase our 3/4″ Flo Rite faucet (sold separately) which can be threaded into the cap. The screw cap on the back of the handle covers a relief hole that can be punctured to allow for quicker dispensing. 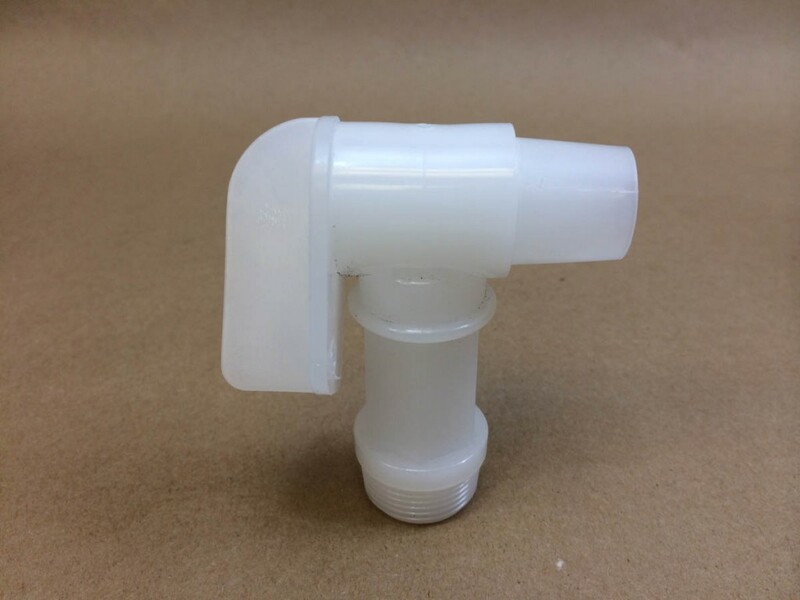 The primary closure (large one) is a 70mm screw cap with a 3/4″ pipe thread meant to accept a faucet or spigot. When using the optional spigot or faucet a preformed center piece is punched out to accept the faucet. Both the 18mm screw cap covering the relief hole and the 70mm screw caps with 3/4″ pipe threaded center are supplied with the container. The flo-rite faucet is an optional piece that is sold separately.